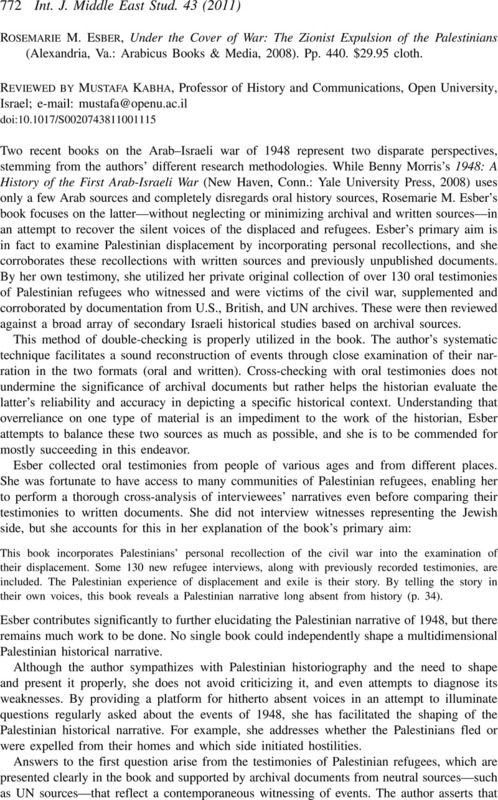 Rosemarie M. Esber, Under the Cover of War: The Zionist Expulsion of the Palestinians (Alexandria, Va.: Arabicus Books & Media, 2008). Pp. 440. $29.95 cloth.